SINGAPORE (Jan 27): Oil prices dipped on Friday, with rising crude output from the United States offsetting efforts by OPEC and other producers to cut supplies to prop up the market. Brent crude futures, the international benchmark for oil prices, were trading at $56.14 per barrel at 0132 GMT, down 10 cents from their last close. 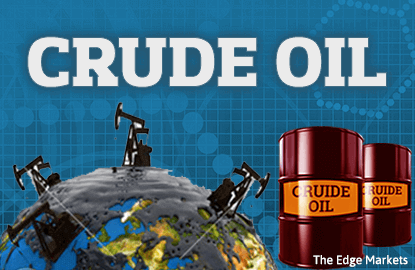 U.S. West Texas Intermediate (WTI) crude futures dropped 2 cents to $53.76 a barrel. Traders said that efforts by the Organization of the Petroleum Exporting Countries (OPEC) and other producers including Russia to cut supplies to reduce a global fuel overhang were being offset by rising output in the United States, resulting in range-bound prices. "Market participants are hyper-focused on two issues: shale's response to higher prices and OPEC compliance," Barclays bank said. "Producers and OPEC countries are all talking their books, yet the jury is still out," it added, referring to widespread scepticism over compliance with announced cuts. The British bank said it expected Brent and WTI prices to average $55 and $53 per barrel respectively for the first quarter. OPEC and other producers have agreed to cut production by almost 1.8 million barrels per day (bpd) for the first half of 2017 to fight a supply overhang that has seen between 1 million and 2 million bpd of crude being produced in excess of consumption over the past two years.